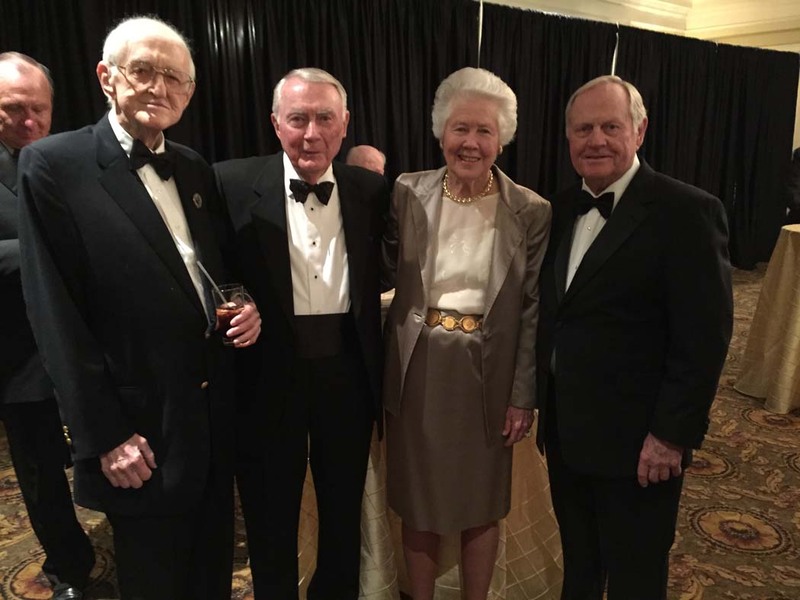 Jack Nicklaus received the Colonial Country Club Legends Award Wednesday, surrounded by family, friends and longtime members of the iconic 80-year-old club in Forth Worth, Texas. Guests included golf greats Lee Trevino, Charles Coody, and Bruce Devlin, as well as sportswriting legend Dan Jenkins. Throughout his career, the Golden Bear made 10 appearances at Colonial, winning in 1982 with son Steve on the bag, and finishing four times in the top-five. The club presented the Golden Bear an honorary membership to Colonial, as well as the Legends Award — joining such past winners as Ben Hogan, Byron Nelson and Trevino.